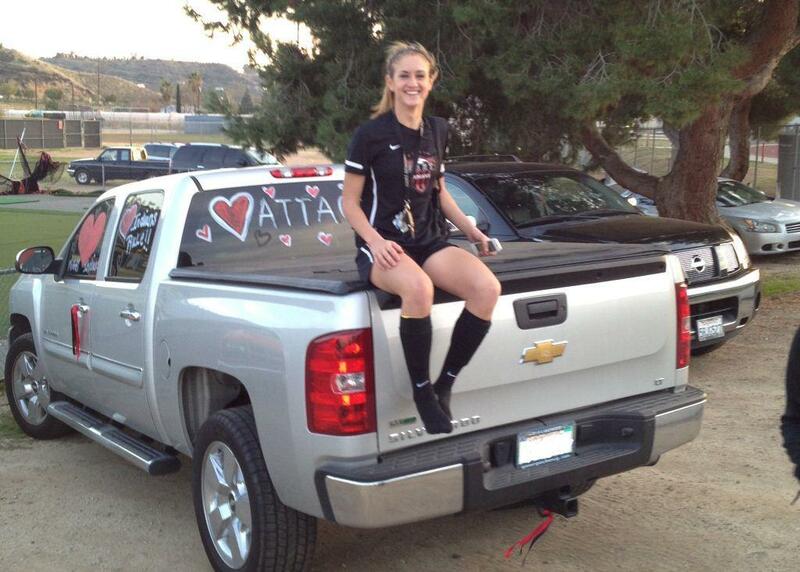 Danica Morgan decided that the Saugus soccer coach needed some school spirit – Hart school spirit. Here is a picture of Danica with Coach Natalie’s truck. We’d like to thank Coach Natalie for being such a good sport!